Don’t Push It was a bay gelding, owned by John Patrick “J.P.” McManus and trained by Jonjo O’Neill at Jackdaws Castle in Gloucestershire, who won eight of his 28 races under National Hunt Rules and over £750,000 in total prize money. However, the son of top-class jumps sire Old Vic etched his name into the annals of racing history when, on April 10, 2010, he put in a faultless round of jumping to win the Grand National under A.P. McCoy. In a race run at an end-to-end gallop, Don’t Push It made headway from mid-division to track the leaders heading out into the country for the second time and, by the time the bold-jumping Black Apalachi took over from the long-time leader Conna Castle at Becher’s Brook on the second circuit, only a handful of horses were left with a realistic chance of winning. Two of them, Big Fella Thanks and Hello Bud, weakened from the second last fence, at which Don’t Push It took second place. He took the lead at the last and stayed on well from the famous “Elbow” to beat Black Apalachi by 5 lengths, with State Of Play, who snatched third place from Big Fella Thanks close home, a further 20 lengths away. Jamie Spencer is an experienced flat racing jockey, who is still currently plying his trade on the UK flat racing circuit. Born in the Spring of 1980 in Tipperary, he was to date won 4 major classic races with two in his home country of Ireland and two in the UK. Spencer has something of trademark for riding his horses sensibly until the critical moment and then kicking for home, using the sprint to great effect. Racing has long since been in Jamie Spencer’s blood, as his father was a successful National Hunt trainer by the name of George Spencer, who most notably trained the 1963 Champion Hurdle winner, Winning Fair. Despite the family connection to the sport, the young Jamie Spencer was not involved until late in his childhood years. When he did start however, he made up for lost time quickly, claiming the first of his classic triumphs on Tarascon in the Irish 1,000 Guineas in 1997. When he did so, he made history, as the youngest jockey ever to win a classic race, before going on to become Ireland’s champion apprentice the next year, riding to 46 victories. Spencer’s talents hadn’t gone unnoticed and it led to a short stint as stable jockey at Ballydoyle for Aidan O’Brien. Despite only being in that role for a short time, he managed to become Irish flat racing Champion Jockey for 2004, riding 93 winners. 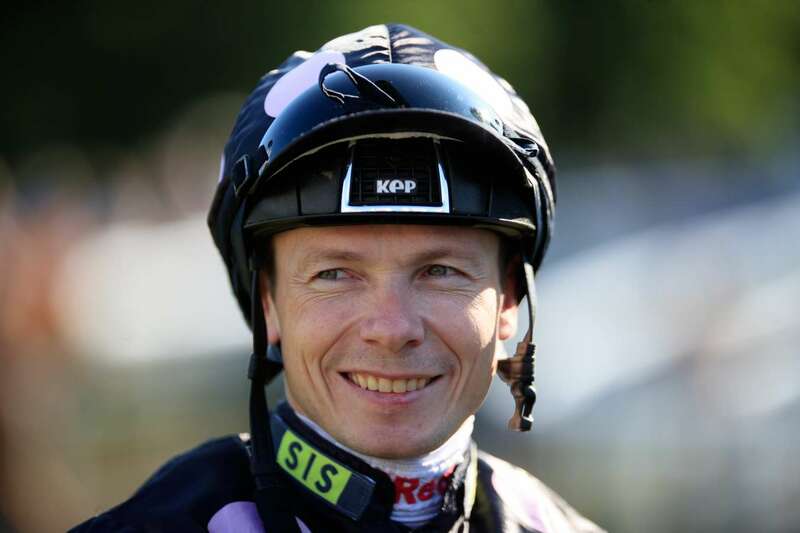 The success continued for Jamie Spencer after parting ways with O’Brien, as he moved to Britain shortly after to become flat racing Champion Jockey on the British circuit in 2005, riding a not too inconsiderable amount of 180 winners. Spencer’s next achievement of note was reclaiming the Britain Champion Jockey mantle in 2007, sharing the honours with Seb Sanders. It was a thrilling season, with Spencer only drawing level with Sanders on 190 winners in the very last race of the season. Jamie Spencer went on to ride again for Aiden O’Brien, this time as a joint shareholder in Fame and Glory and Cape Blanco. It was to prove a successful reunion, as he rode Fame And Glory to the 2011 Ascot Gold Cup. Jamie seemingly called time on his racing career in 2014, when he cited ‘family reasons’ for walking away to take up a consultancy role with Qatar Racing, but the pull of the saddle would prove too much and he returned to racing soon after. By 2017, he’d managed to clock up 2,000 winners, becoming one of only 4 active jockeys ever to do so and with Spencer still only 38 years of age, there’s still time for him to add to his already impressive tally.